A surprise finding by medical scientists may lead to the development of a possible treatment for multiple sclerosis (MS). While examining human brain tissues, researchers from the University of Alberta and McGill University unexpectedly found that the tissues from people who had MS contained an extremely high level of a protein named calnexin, compared with those who hadn't had MS. The researchers then tested the susceptibility of mice lacking calnexin to the mouse model of human MS (experimental autoimmune encephalomyelitis), and were astonished to find that the mice lacking the protein were completely resistant to the disease. The causes of MS are not well understood. Symptoms vary widely but often include cognitive impairment, dizziness, tremors and fatigue. These problems are caused by a type of white blood cells called T cells that, after becoming activated, find their way into the brain and attack the protective covering–myelin–of neurons in the brain and spinal cord, causing inflammation and damage to the central nervous system. 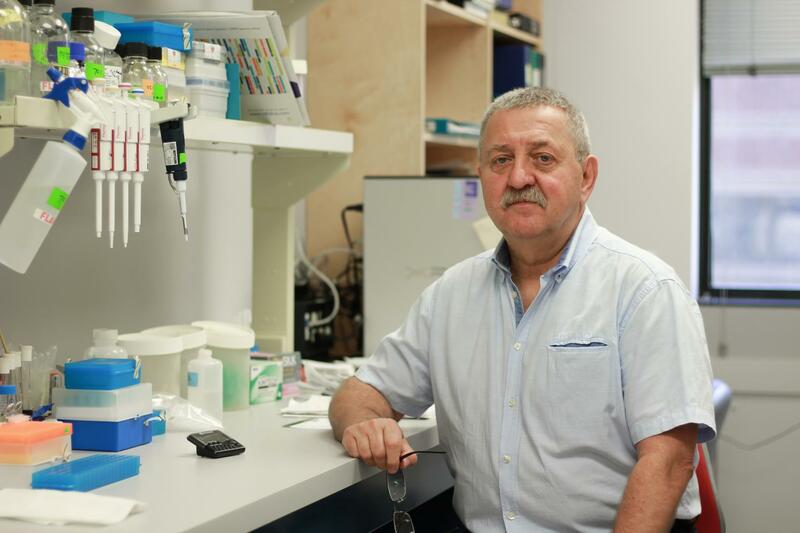 "It turns out that calnexin is somehow involved in controlling the function of the blood-brain barrier," said Marek Michalak, a distinguished professor of biochemistry at the U of A. "This structure usually acts like a wall and restricts the passage of cells and substances from the blood into the brain. When there is too much calnexin, this wall gives angry T cells access to the brain, where they destroy myelin." Canada has one of the highest rates of MS in the world, with an estimated one in 340 Canadians living with the disease. There are no known effective treatments. "We think this exciting finding identifies calnexin as an important target for developing therapies for MS," said Luis Agellon, a professor at the McGill School of Human Nutrition. "Our challenge now is to tease out exactly how this protein works in the cells involved in making up the blood-brain barrier. If we knew exactly what calnexin does in this process, then we could find a way to manipulate its function to promote resistance for developing MS."
The study, published in JCI Insight, was funded by the Canadian Institutes of Health Research.